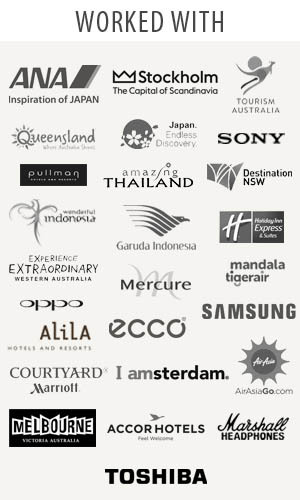 Traveljunkieindonesia.com – Eeeek I am so excited to tell you all about this update. 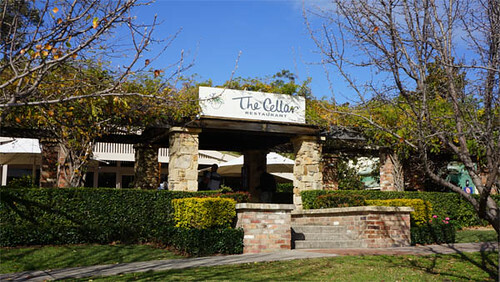 I was kidnapped by Destination NSW and Garuda Indonesia to special lunch at The Cellar Restaurant Hunter Valley. 2011 Winner – Contemporary Australian Restaurant, Informal Dining. Chef/owner Andrew Wright is passionate about sourcing the freshest and best quality local ingredients. 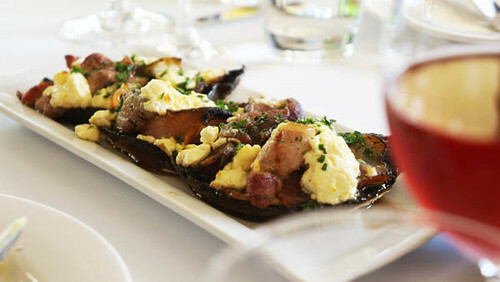 Centrally located in the heart of Pokolbin, The Cellar Restaurant delivers award-winning modern Australian cuisine in a unique indoor garden setting. Dine by the open fire in winter, or in the summer months our wisteria-surrounded courtyard is a haven for a leisurely meal with friends and family. For entrees, we had stuffed field mushroom with bacon and fetta. Olala… Very tasty! 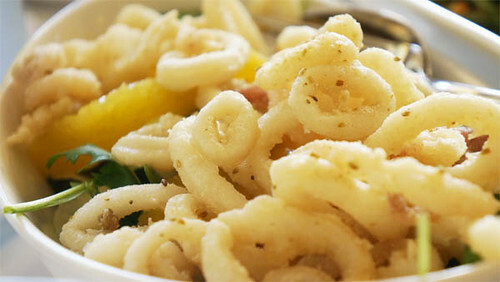 Then followed with lovely crispy line-caught calamari, orange and fennel. 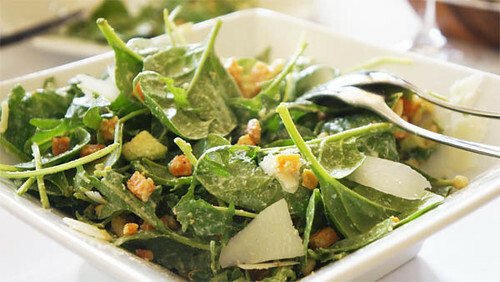 And, spinach, rocket, roast sweet potato, avocado and pine nut salad with a raspberry and parmesan vinaigrette. This was a awesome entrees. These are ideal entrees, light and very, very tasty! 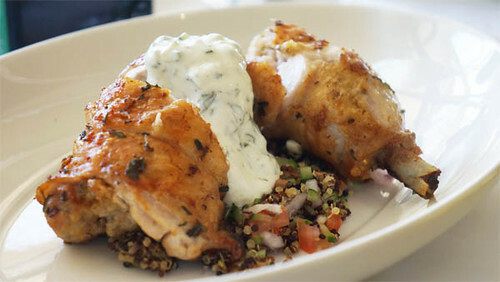 And for main, I chose roast stuffed chicken leg with oregano and lemon, quinoa and fetta tabbouleh. Ooh my. Succulent and beautifully cooked. The presentation was simply and extraordinary. A highly recommended main. I really enjoyed it. 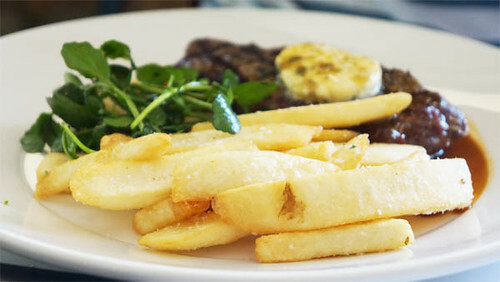 My friends chosen prime sirloin steak with sage butter, watercress salad and crispy chips. 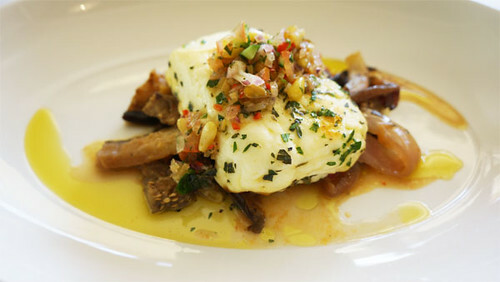 Then, other my friends choose pan fried haloumi with roast Italian vegetables, preserved lemon, chilli, parsley and pine nut salsa. And when I tasted it. WOW! It was aaawesome, but I was pretty full at this point. Overall, I thought the food was AAAAWESOME. I really enjoyed the food and atmosphere. It was stylish, breezy, perfect, and relaxed come together beautifully. I would love to come back during the day to try out the lunch or dinner menu. I’d definitely take up the opportunity to try this again, just me and a girlfriend. I felt at home. Try it and tell me what you think.